The M2 is a two-door thrill ride that reaffirms BMW's ability to build the ultimate driving machine. Based on the beloved 2-series, this rear-drive coupe has a wide-body appearance and high-performance upgrades. 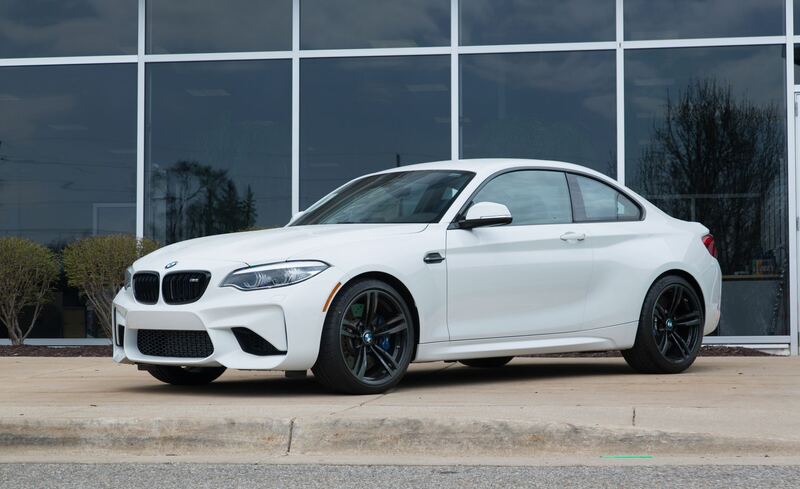 Its turbocharged inline-six teams up with a clairvoyant chassis that rewards time spent on the racetrack, but the M2's stiff suspension is abusive on regular roads. Those seeking a precision instrument for high-speed shenanigans, however, should skedaddle to the nearest BMW dealership and sign the papers for this amazing M car. The M2 receives minor revisions inside and out for 2018. The redesigned head- and taillights switch to standard LED projectors. The cabin updates include a refreshed dashboard, a revised gauge cluster, and small tweaks to the center-console cupholders and window switches. The infotainment system upgrades to the latest iDrive 6.0 interface-now with touchscreen functionality and improved voice recognition. A new Black Shadow Edition is equipped with carbon-fiber exterior accents, special 19-inch wheels, and Black Sapphire metallic paint.